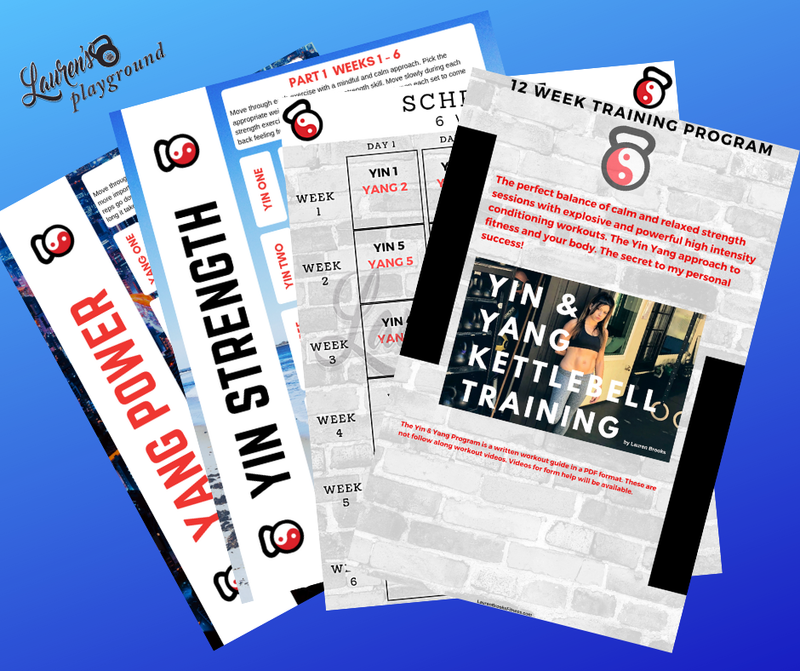 Yin and Yang Kettlebell Training is now available in Lauren's Playground. This style of training is the exact method I use for my own personal strength and fitness journey. This program is the perfect balance of calm and relaxed strength sessions coupled with explosive and powerful high intensity quick workouts. This is the Yin Yang approach treating your body well and stepping up your fitness game. This is a 12 week program 100% in a written PDF format for online viewing. First 6 weeks are now available in Lauren's Playground. Normally a program like this would go for $129.00 but right now it's only the cost of a playground membership, which also includes almost 3 years of programs for every single level of fitness. If you're not a member you can learn more about it here.